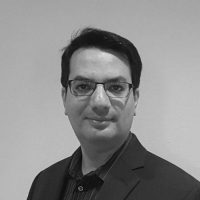 With more than 20 years of leadership and business experience, Lior Elazary has directed and guided teams developing everything from back-office systems to the core technologies of the business. While attending the University of Southern California, Lior worked closely with inVia Robotics co-founders, Dan Parks and Randolph Voorhies on various robotics and neuroscience projects. Lior is now the CEO of inVia Robotics, alongside co-founders Dan and Randolph.